Installation: Ø220mm version: the luminaire is equipped with M20x1,5 plastic cable gland and a piece of cable for an easy-to-make connection. 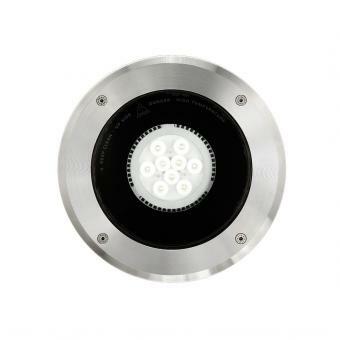 Ø130mm version: the luminaire is equipped with M16x1,5 plastic cable gland (<4,5ø<10mm) and a piece of cable for an easy-to-make connection. LED version 24V is equipped with a dc/dc highly efficient resin-coated converter that removes electromagnetic interference and allows parallel wiring. Idra LED is protected against polarity reversal and sudden voltage peak. LED ø130 is protected against polarity reversal and it is equipped with a piece of cable for an easy-to-made connection (please provide effective insulation on the connection).